I was flicking through another of my Margaret Fulton supermarket recipe book purchases from 1982 and came across another little treat I thought would be perfect for Mother's Day. We were off to my mother-in-law's for afternoon tea and decided to take this cake with me. I do however tend to leave things until the last minute so there was a bit of puffing and blowing from the man as he watched the clock tick away waiting for the cake to cool before adding the cream to the top. So I ended up taking the cake and cream separately and dressing it up when we arrived. As this is a ring cake I hunted the night before for an appropriate tin (in case I had to make a dash to the shops to buy or make calls to borrow) and actually dug out 3! which I can't remember buying at all! Anyway they are quite old and not non-stick so I think they must be hand-me-downs. As I am not a fabulous baker I had slight reservations about this turning out, I could see myself trying to prise the cake from the ring. Bravely I pushed through the hesitation and continued, and I am so glad I did. 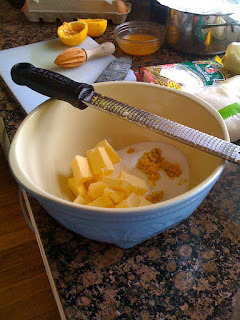 I even got to use my new zesting plane instead of grating the orange rind - good tools do make some jobs a joy. In true retro style the hardest job was creaming the butter and sugar which I did by hand, ( I tried to employ the man for a bit of muscle power but he was useless and said he had weak wrists! any excuse). I do sometimes find that old fashioned methods are very satisfying and I give myself a little pat on the back for persevering. Well if I don't who else will? 1/4 cup flaked almonds toasted (keep your eye on these as they catch very quickly in the oven). Cream butter and sugar together with grated orange rind until light and fluffy. Beat in the orange juice and eggs, then fold in semolina, almonds and baking powder. Turn the cake onto a serving plate straight from the oven. 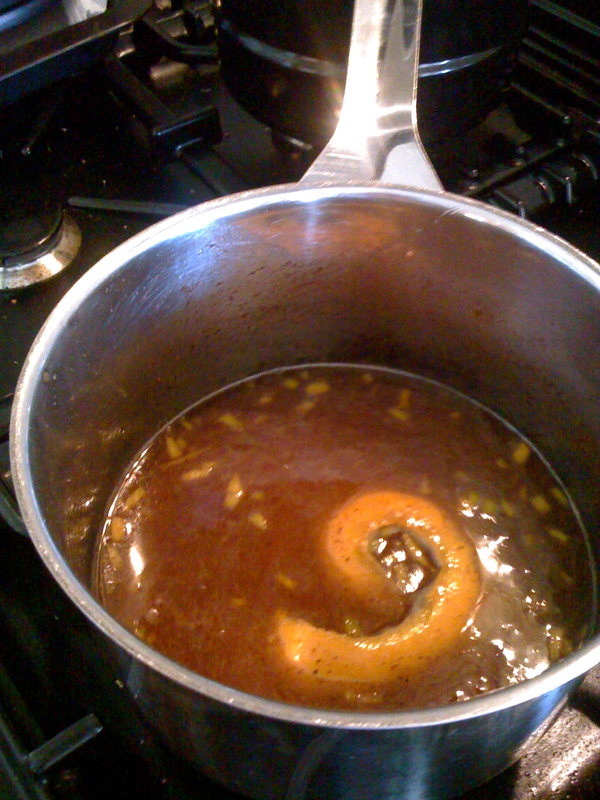 Pour over the hot syrup slowly until all is absorbed. To serve, fill centre of the ring with whipped cream and sprinkle with almonds. I was amazed at how easily my cake turned out of the tin, it just plopped out so quickly, mind you I had been zealous with the greasing and flouring. I was very pleased with the result, so pleased in fact that I am entering this in this month's AlphaBakes Challenge hosted by Caroline over at Caroline Makes... and More Than The Occasional Baker which is "H" this month so Orange Halva Cake fits in well. I hope all Mothers everywhere had a wonderful day! Sounds lovely. Sometimes the old fashioned methods seem like a good idea at the time (i.e. not having to drag out the food mixer - not having enough room in the kitchen for it to sit on the work top) - but then again - sometimes the effort is worth it! It always fascinates me how you find a baking tin and wonder when you bought it and what for! I do that too. It was a lovely cake and will definite make it again. The cake tin was perfect the cake just slipped out - I was amazed. What a lovely cake, I may well try it in one of my Bundt tins, I am always looking for successful recipes for them! How wonderful that your son loved them - that is so nice to know. Thanks for giving me a little mention. Jude I couldn't believe how perfectly the cake just fell out of the tin. 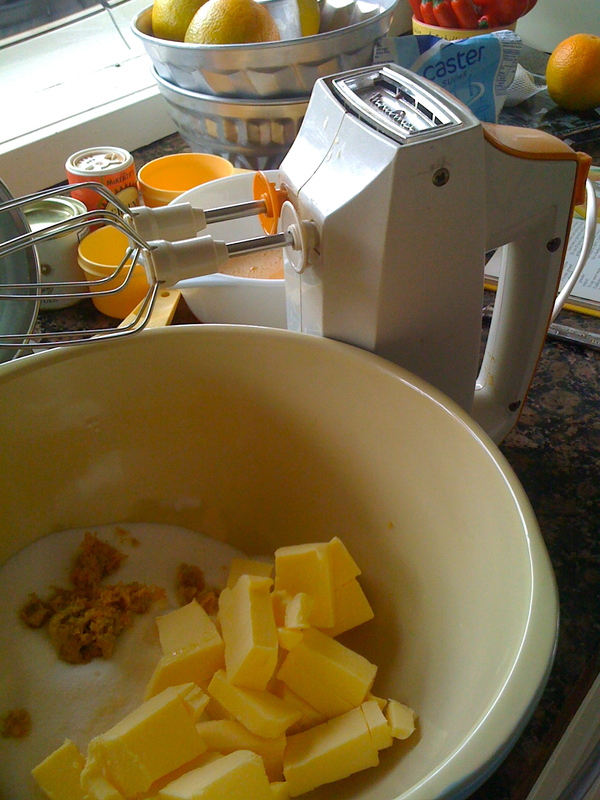 Thanks for entering this to AlphaBakes - what a lovely entry. The cake looks delicious especially with the syrup on top. So glad it came out of the tin easily as it looks beautiful :) Definitely perfect for mother's day and I hope your mother-in-law was pleased! My mother-in-law thought it looked lovely and tasted great. 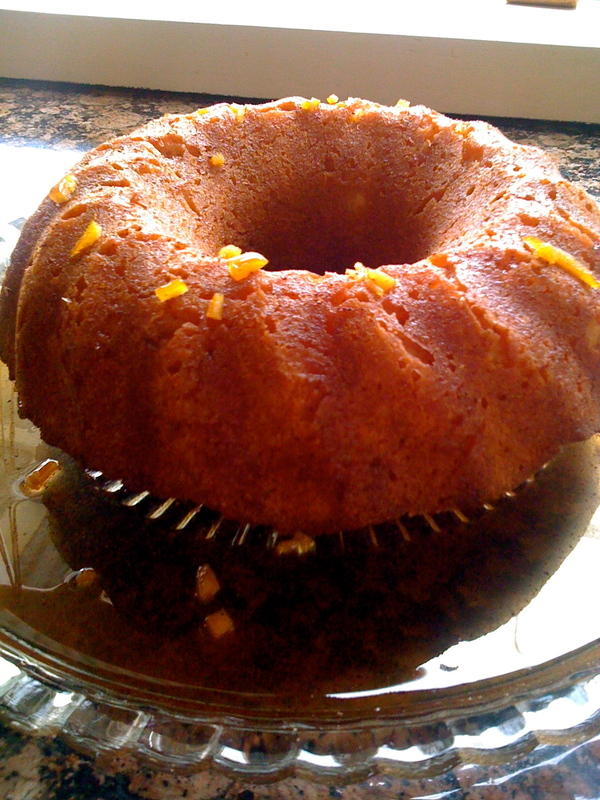 I hopped from Kit's blog and the name of your cake fascinated me.I read your recipe carefully and yes I find this unique and interesting with a batter of semolina and ground almonds.Well done! 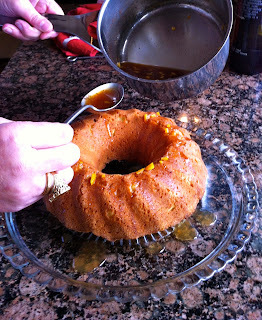 So nice for you to have a look at my blog Balvinder - it was a lovely cake and much appreciated by all. Thank you so much for nominating me for an award will pass it on with pleasure. The syrup made it I thought. If there had been any left I am sure it would have been lovely - but we ate it all!!!! 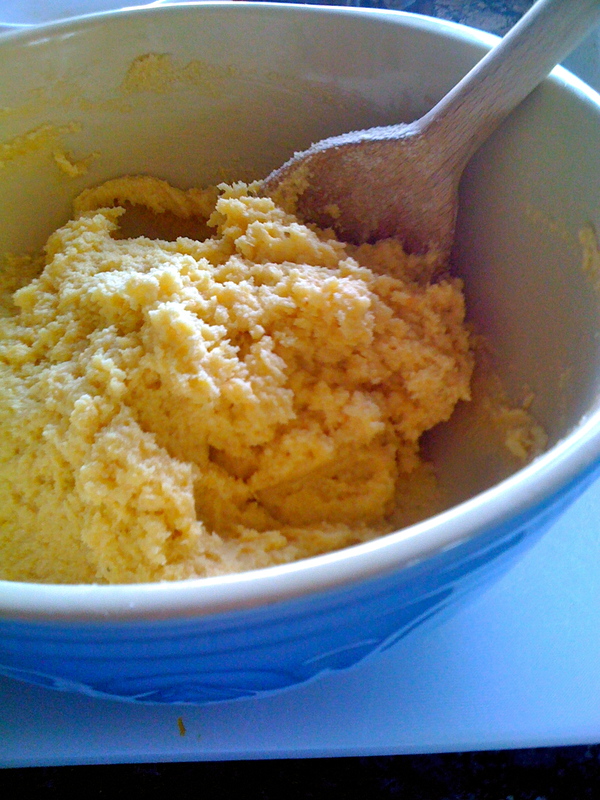 I have never cooked with semolina either and I was pleasantly surprised. Oh...yummm this looks absolutely delicious! 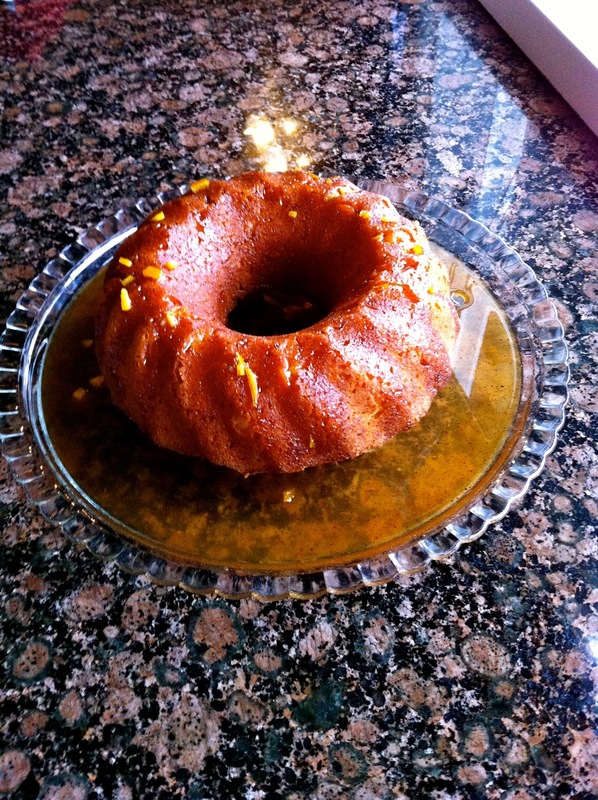 I'd never heard of a halva cake before - I'm learning a lot from Alphabakes! Thanks for entering. The cake looks delicious and I'm sure your mother in law was impressed! Hello Caroline, so nice of you to leave your comments - Alphabakes is a lovely little challenge isn't it. What a beautiful cake - I LOVE anything with ground almonds!!! 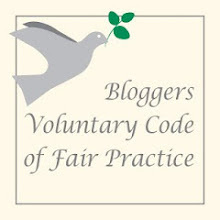 So glad to have found your blog and signing up to follow! Welcome Mary, thank you for dropping by - hope to see you again! 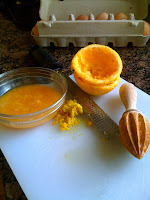 I love just about anything with orange or lemon. This cake sounds delicious! Thanks Mary - hope you get to try it it was lovely. What a SUPER cake to make for Mother's Day......LOVE any cake with citrus in it! Me too - it would have been lovely the day after - unfortunately there was none left! Oh, this looks so delicious. :) Thank you for sharing it with us. I know now what I'll prepare this weekend for dessert. Laura - it will be lovely I am sure. Thanks Dom, I see you have been using a bit of muscle in the kitchen too lately. 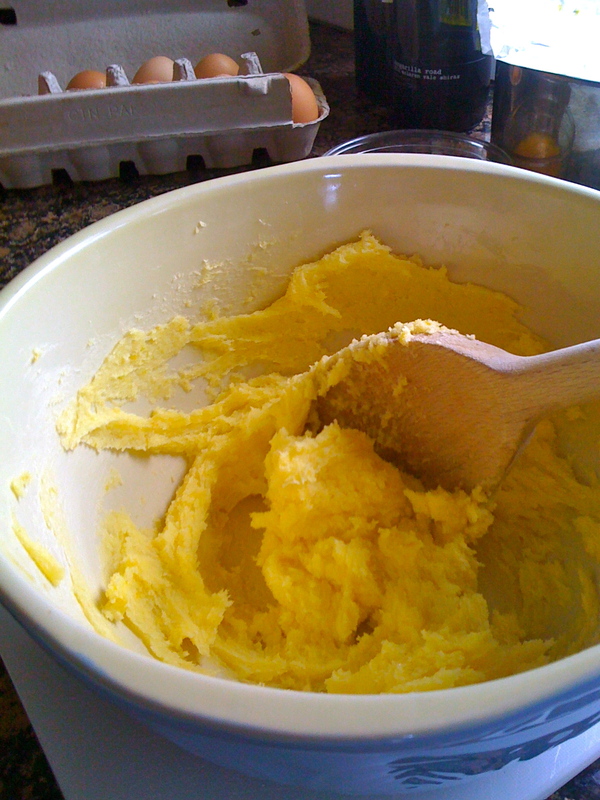 I was relieved it turned out so easily, so much so I will have no hesitation making it again. Oh I love halva and have had many different flaovurs inc. lime, but never orange or in the form of a cake. This is utterly delightful and beautifully turned out too. Welcome Anuja thank you for leaving your comments. If you get around to making this I am sure you will not be disappointed. I was very happy with the results. Looks like an absolutely delicious cake! Thank you so much. It was such a successful cake. Sounds lovely, though for some reason I was expecting the cake to contain carrots. The Orange syrup sounds especially good. Not a carrot in sight! I have just baked this cake, the exact measurements of ingredients except it also had one lemon and one lime in the cake mix. When the syrup was done, it looked too little for the cake. Consequently the cake is dry as. Could it be because I baked it in a round tin? . I have a great bundt cake pan, but was relunctant to use it, because like you said, I was fearful of it not turnng out of pan. Perhaps the syrup is enough for the bundt shape? So now I plan to make some syrup and serve it over the cake.